UNMC School of Biosciences is celebrating its 10th Anniversary this year and as part of the celebrations, we invited seven of our 2016 fresh graduates to talk about their life on campus. The sharing series from students will be divided into three parts. Now, let’s see what have they said about their experiences with the School! What is your experience with School of Biosciences in UNMC? Celestine: I love how ‘kampung’ we are, how we are surrounded by greenery and fresher air, instead of high-rise buildings and smoke from traffic jams. How I can proudly think to myself, ‘my campus is better’, every time I visit other universities in Malaysia. Nhien Hao: When I was preparing to go to Malaysia, I felt so anxious. I felt totally unconfident about myself, about my English and my knowledge. But guess what? The experiences are totally different and I actually have a wonderful time in Biosciences, UNMC! Stephane: I’m thankful for the vast array of resources that I had at my disposal thanks to the campus, which not only helped me increase my knowledge on the subject but also allowed me to learn more about topics outside the course that interested me. Wei Harn: As an institute of higher learning, the School of Bioscience has helped me a great deal in growing and developing my interest for the field of plant science. 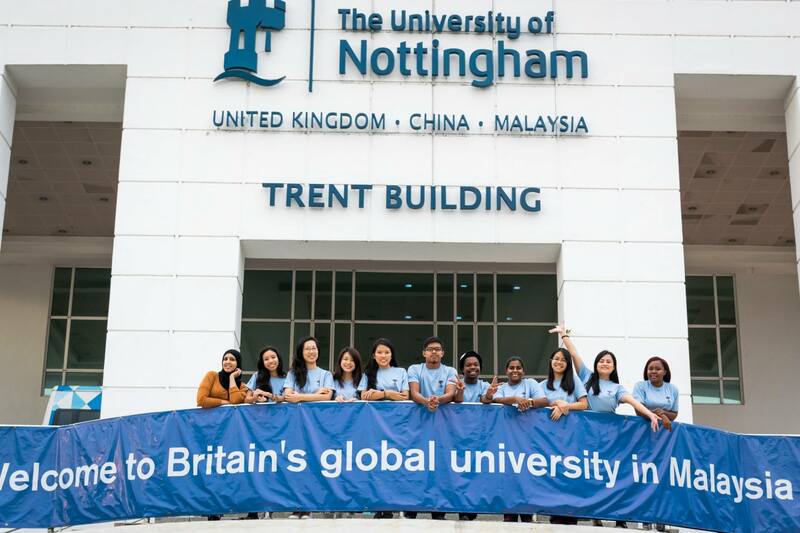 Xin Yi: The excitement of making international friends, being BSN committee, organising events, becoming school representative, conducting my own research project, etc. are still vividly etched inside of me. I shall not forget to highlight my wonderful and life-changing experience as one of the mobility exchange students to UK campus. I enjoy my university life very much, to the extent that words just cannot describe my mixed feelings! Jasmin: Studying in UNMC is an experience by itself. The diverse and multicultural community gives off the vibe that I truly am studying at an international campus. Malaysia as a tropical country makes learning Environmental Science really fun and never dull. Our classroom is not solely enclosed in the four walls of a building but encompasses the great outdoors, from the forest to the sea, swamps, caves and plantations. UNMC has given me a platform to maximize my potential.